Simply go to search > Advanced > Field > Group > Name and “is (exactly)” and then use * for wild card. In the example below I have search for groups using the string *omain*. 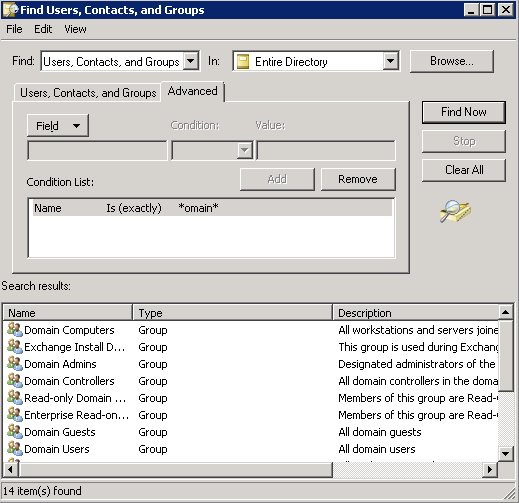 As you can see from the result, all groups listed contain “domain”.